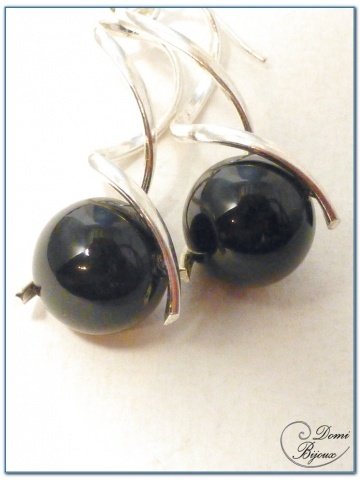 This silver earrings are made with two 12 mm diameter onyx pearls. 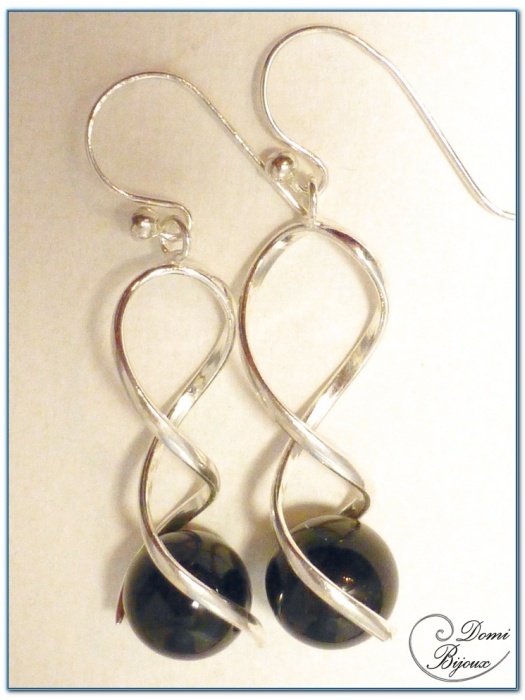 This onyx pearls are mounted on silver double spirale frame which enclose this pearls. 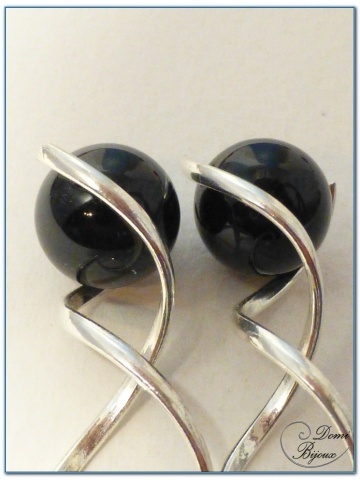 Very nice movement wich give a dynamic effect to this earrings. Like all elements are in silver925, there is no risk of allergie. You will receive this silver earrings in a cloth pouch closed by a link, to store them carefully when you don't wear.